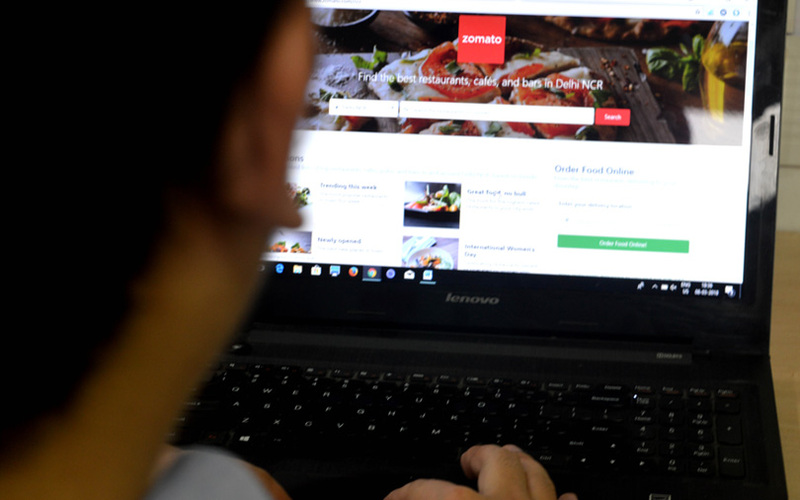 Online restaurant listing and food delivery company Zomato’s annual revenue run rate has touched $100 million (Rs 650 crore), founder and chief executive Deepinder Goyal said on Thursday. The company recorded “40% growth in just the last two months,” he said in a tweet. Goyal didn’t clarify as to whether the company had hit around $8 million revenue this month or whether it was an extrapolation of data based on month-on-month growth projections from last month to this month. He didn’t respond to queries sent via email and WhatsApp till the filing of this article. Zomato had posted revenue of Rs 332.3 crore for 2016-17, up 81% from Rs 183.9 crore in the previous fiscal year. Its loss narrowed to Rs 389 crore from Rs 590.1 crore, according to the annual report of its shareholder Info Edge (India) Ltd. While Goyal didn’t specify any reason for the growth, the announcement comes barely weeks after he said that the company’s Zomato Gold subscription service was growing at a quick pace. On March 8, Goyal said in a blog post that Zomato Gold had crossed150,000 subscribers within three months of its launch. He also hinted that the firm may increase the pricing of its subscription service. At the time of its launch in November last year, Zomato Gold was available for Rs 299 for a quarter and Rs 999 for a year with a limit of 10,000 subscribers. Goyal had previously written that Zomato was expecting to sell 10,000 memberships over a week’s time but sold multiple times more than that in less than two days. He had attributed Zomato Gold’s growth to word-of-mouth promotion programmes and referrals, with 40% of the total sales being driven by referrals. Zomato was founded in 2008 by Indian Institute of Technology-Delhi alumni Goyal and Pankaj Chaddah, who were both executives at management consultancy firm Bain & Company. Chaddah resigned from the company earlier this year. However, he will continue to serve on Zomato’s board. In February, Zomato raised $200 million from Chinese e-commerce giant Alibaba’s payment affiliate, Alipay. The deal valued the firm at more than $1 billion. The transaction will see Info Edge, which owned a 45% stake in Zomato, reduce its holding in the firm to 31%. Alibaba is expected to own around 26% stake in the food ordering platform.